It’s almost Christmas and time for the family visit with older relatives. 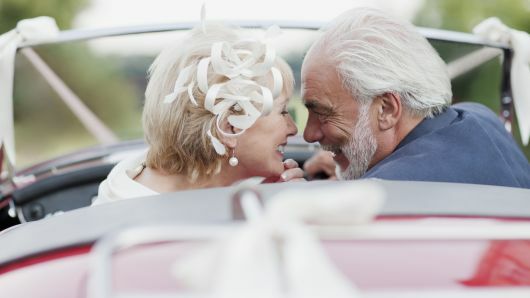 If you suspect festive cheer with aging family could devolve into some scary scenes, here are some red flags to put in a checklist and share with your midlife siblings before the holiday celebration. Perhaps your older parents have piles of junk mail, dirty clothes, unwrapped gifts when Mom used to shine through her color-coordinated presents. All are cause for the sibling 911 alarm- then action. You can use this list to assess your parents or older family members during the holidays and compare notes on a post-holiday conference call. If all midlife siblings have the same criteria, it makes easier to agree what to do and what to flag as family New Year’s resolutions. Below is a list of red flags. If you saw any of these problems on Thanksgiving or Hanukkah or face them on Christmas- now is the time to do something about it. Use this is a checklist. Not taking care of activities of daily living: cooking, bathing, dressing, housekeeping, etc. When midlife adult children return from the holidays, the family can have a family meeting alone or with an aging professional and look at the problems on everyone’s the list, agree on the top red flags and start helping the long distance family. Don’t wait till you and your midlife siblings are shocked out of sleep by late-night calls from brothers and sisters, frantically telling them of a crisis with aging Mom or Dad. Don’t force yourself and the other adult children to book last minute, high-cost flights, and gather in scary, sterile hospital rooms with brothers and sisters they have not really communicated in years. What Business Skills Must You Have to do an Aging Life or GCM Start-up? Midlife Sibling Wars- Call in a Care Manager or Mediator? Midlife siblings can often get into big dust- ups over inheritance or who Mom Loved Best. Elder mediation is a growing field that many geriatric care managers have embraced. Featured in the New York Times yesterday, this profession is covered by Dana Curtis JD , in the new edition of the Handbook of Geriatric Care Management . Curtis however warns that Aging Life or geriatric care managers are ” accidental mediators” who encounter warring sisters, exploding families in their work all involving money, inheritance, caregiver burnout who” mom loved best “ to do a professional skills check. . 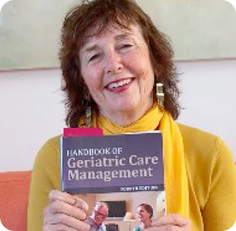 If a geriatric does not have the mediation training, like GCM Bunni Dybnis , the aging life or GCM should find skilled elder mediator in their own continuum of care (community) and partner with them.